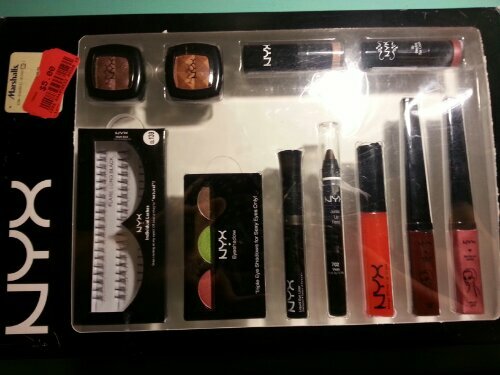 NYX Queen of the Night Makeup set. 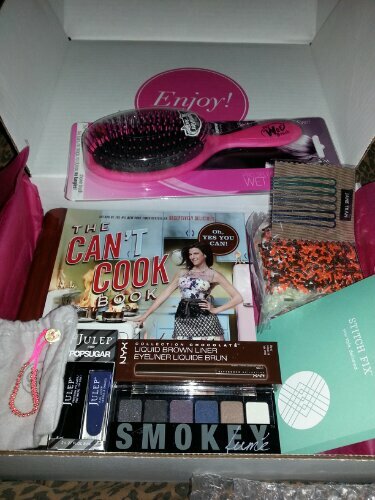 Does it count as a haul if it’s a box set with 10 items plus false lashes? Lol. 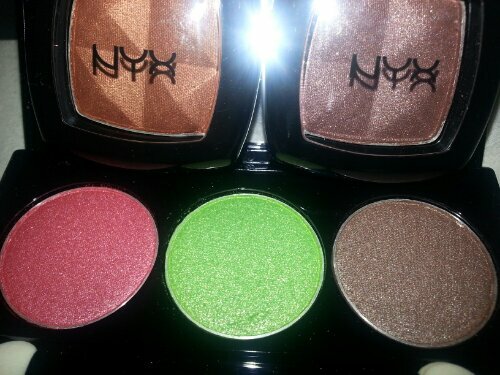 I was at Marshall’s yesterday and saw this irresistible price on a NYX box set. $5 markdown!! 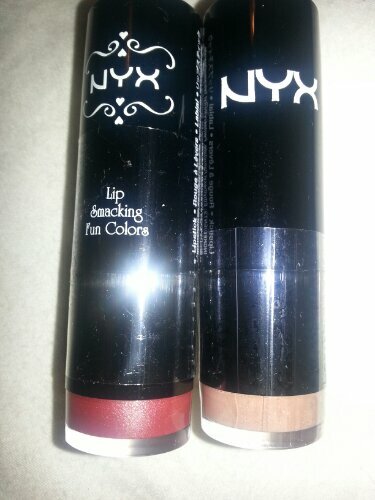 Before I bought this I only owned 2 NYX products that I have bought at Urban Outfitters and get a lot of use out of. 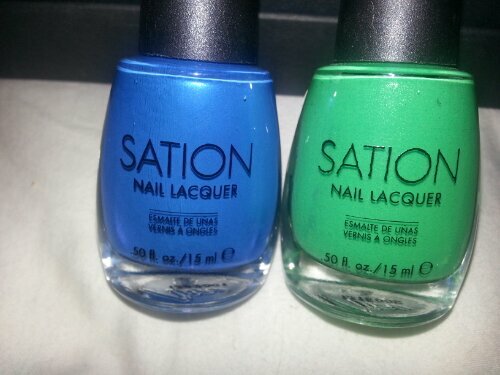 I bought a couple other items, too (Sation nail polish and e.l.f products). Eyeshadow singles in Asphalt (top left) & Beauty Queen (top right). Trio compact in Perpetual (bottom 3 colors). Yowza, I definitely don’t own anything like the red or green in this trio!! Here’s a review I found of this palette. Lipstick in Saturn & Uberchic. Haven’t opened these yet, but picture looks like true color + more shimmer in real life. 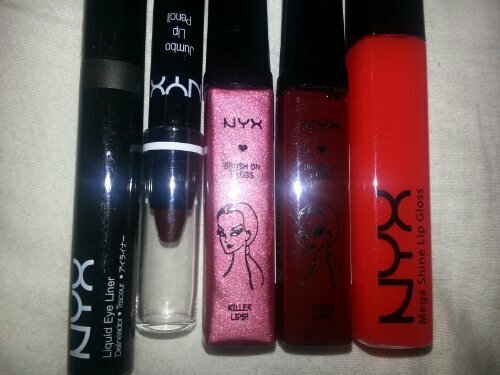 Black Pearl liquid eyeliner, Vixen Jumbo Lip Pencil, Copper Penny & Garnet Brush On Gloss, Mega Shine Gloss in Juicy Red. Swatches! Black Pearl liner dries matte soft black with a hint of tiny glitter. 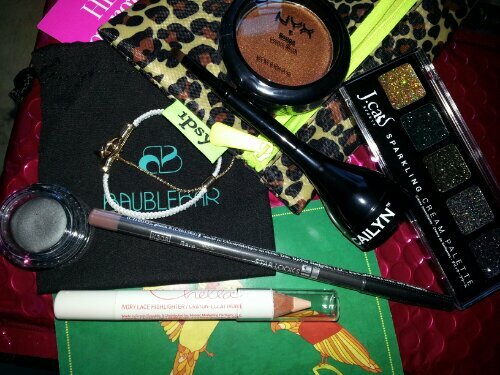 Jumbo lip pencil applies so smooth and creamy with a glossy finish (no glitter! 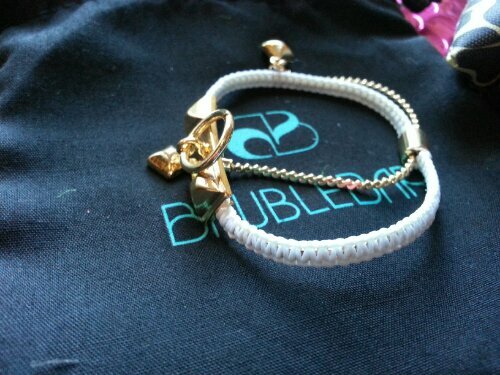 ), I wish this was in a lighter shade. Brush on glosses started to bleed on my hand wrinkles, maybe use less product for a sheer wash of color. Mega Shine Gloss has virtually no color and is a juicy wet look….rawr! 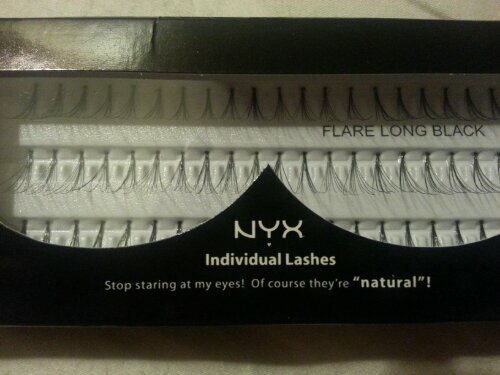 The last item in the NYX set is the Individual Lashes set of 60, no glue included. I’ve never worn false lashes, I think these individual ones will be a good start. Are you suppose to throw these away after using, or can they be re used? I take it this was from a fairytale collection? 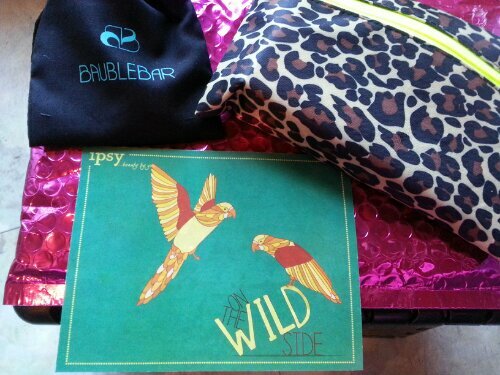 May’s Ipsy glam bag gave us all a Sation nail polish, never heard of or seen this brand other than through Ipsy until I bought these polishes. These were the only 2 Sation colors I saw. There were also some pretty SpaRitual polishes at Marshall’s – I only recently learned about this brand through my Glossybox I got less than 2 weeks ago! I also bought e.l.f. 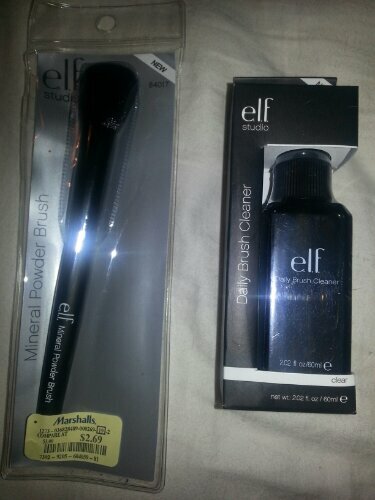 Daily Brush Cleaner for $3 and an e.l.f. Mineral Powder Brush $2.69. 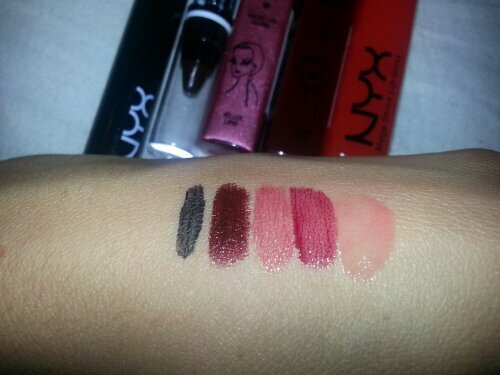 Let me know in comments what is your favorite NYX product? HauteLook Spring Beauty Bag $25 on HauteLook.com includes: Lorac, Urban Decay, Laura Gellar, Stila, NYX, LA Fresh, and more. Tempting purchase! 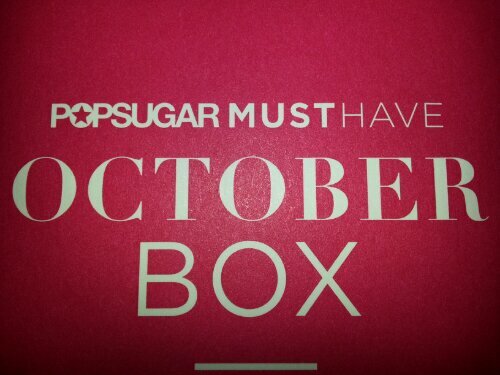 I think this is the first time they have done a sampler type of thing like this with a mix of different brands. I want the Urban Decay eyeliner in Demolition (matte brown) and the Lorac eyeshadow in Debutante (shimmery teal) and mascara!